Why would anyone post breastfeeding pictures on Facebook? In response to the Facebook “Nurse-In” that took place yesterday, we had a discussion on our Bosom Buddies Breastfeeding Support Group online boards about why would anyone want to post pictures of themselves nursing on Facebook. 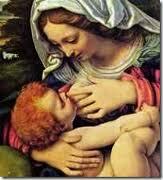 If breastfeeding was perceived as “Normal” and not sexual or offensive then there would be no issue. Yes, you can choose to be discreet if that is what makes you comfortable, but the controversy of women nursing in public (in Target, at a gym, in a restaurant–etc) included women who WERE NURSING DISCREETLY. It is your RIGHT to breastfeed–in fact the medical community asks you to do it–exclusively feed your infant breastmilk for 6 months (and continue to breastfeed for at LEAST one year–at least 2 years or more according to the WHO). 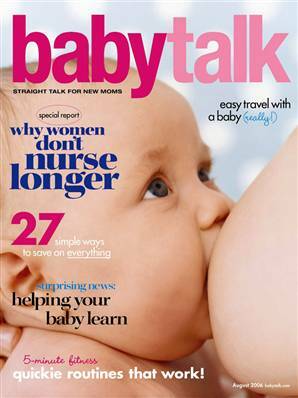 We have spent a lot of time talking about breastfeeding in public in the past at our group sessions. I shared with the moms that in the beginning when I had my first, if anyone had asked if I would nurse in public, I probably would have responded with, “If I have to, but only if I have some privacy.” However, reality soon sets in when you have a baby and before I knew it or had given it any thought at all, I was nursing at the mall on a bench, at the dentist’s office, while getting my hair cut, while at a restaurant–you name it, I did it. No flaunting it–just feeding my babies. I can’t think of any woman who is nursing and bares her breasts in public with the intention of drawing attention to herself –wanting others to notice and ridicule her/humiliate her. Instead women who nurse in public are looking for a clean, convenient place to nurse and care for their babies. Most of our states have laws to support public breastfeeding (NJ does). Yes, it is sad that a law is needed but alas that is the case. The Facebook issue emerged a few years ago and recently got more press (the issue never really went away). Here is a group established years ago to protest the removal of photos–you can look through the old photos, https://www.facebook.com/groups/2517126532/photos/ –they are very touching. P.S. when we talked about this in the past, I mentioned to the moms that one of my BIGGEST regrets was not having a photo of me nursing. I am very sad about that. Nursing made me feel strong, powerful, nurturing, and special–I am so proud that I nursed; there is no good way to explain how important is was to me, but nothing else I have done in my life or will do can compare. I would have loved to have a photo of me nursing one of my boys.